Carl stands up to do the unthinkable! Just when we thought that Rick and his gang had found a safe haven in the prison it all goes horribly, horribly wrong. This is after all the bleak world of The Walking Dead where hope is closely followed by misery. You sometimes wonder what keeps them going. A mysterious figure leads Walkers into the prison and soon it is overrun by them. The gang put up a good fight slicing and dicing the undead hoard. But T-Dog (IronE Singleton) and Lori (Sarah Wayne Callies) both perished tonight, the former devoured by Walkers and the latter taking a bullet to the head from their son whilst dying in childbirth. I found T-Dog’s to be the most unexpected as I was waiting for his character to develop and maybe have more than one line in an episode. But death is around every corner and that’s whats so great about this show. No one is safe and each episode could be your favourite characters last. I doubt he was anyone’s favourite but T-Dog went out a hero, throwing himself to the Walkers so that Carole could get to safety. Lori has been the subject of much fan hatred but hopefully her heartbreaking death and sacrifice for her child made even them shed a small tear. After the baby was cut out of Lori, Carl (Chandler Riggs) took it upon himself to kill his mother before she turned into a Walker. 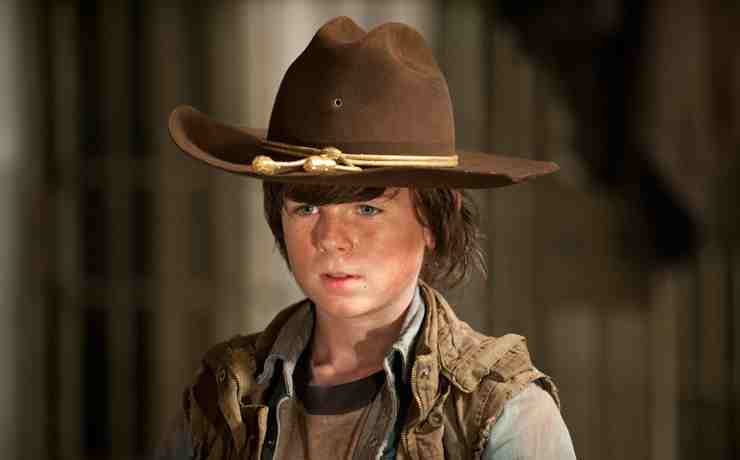 Carl has had to grow up fast, terrifyingly so and I hope Rick sees what he has allowed his son to become and changes things though perhaps it is too late. I must admit I was a little choked, Rick’s reaction to hearing about his wife’s death was heartbreaking. Somebody give Andrew Lincoln an award of some kind! All these events were happening alongside the Woodbury storyline where Andrea (Laurie Holden) and Michonne (Danai Gurira, who still hasnt wowed me yet -though I’ll patiently wait) are staying under the watch of The Governor (David Morrisey). The chaos of the prison and the serene Woodbury make a startling contrast, though I wonder who’s safer after we saw how The Governor operates last week . The Governor is a nasty piece of work and Andrea who’s falling for his charms will probably come to regret not leaving as Michonne has been wanting since they arrived. Next week we’ll see the fallout of the prison break in and I’m sure it will be pretty explosive.